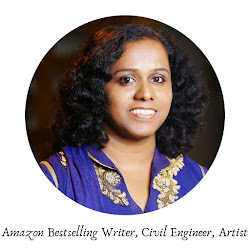 A Writer's Oasis: Who Gets to Decide that You are a Writer? 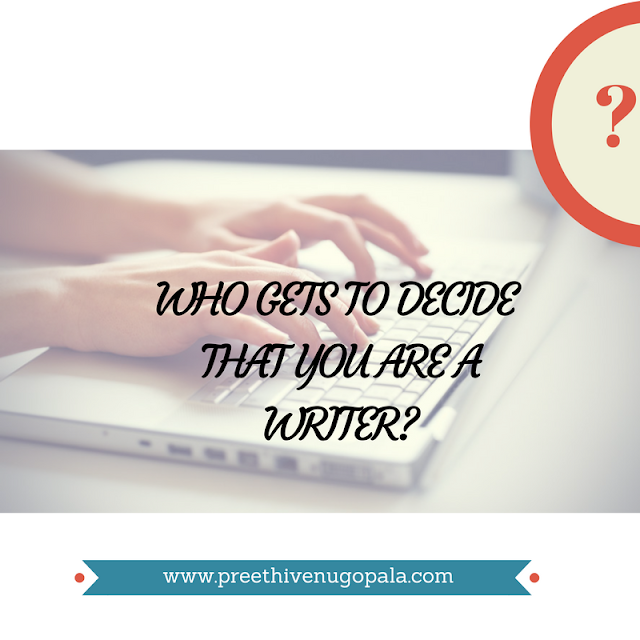 Who Gets to Decide that You are a Writer? I recently met a writer friend with whom I had lost contact since months. We discussed many things and when I broached the topic of writing, she told me she didn’t consider herself as a writer anymore. I was baffled. Just months ago, she was brimming with story ideas. At that time, she was halfway through her next novel. “I don’t think I am good enough. You know, this reviewer trashed my book last month. I am blocked completely. I don’t think I can write ever again,” she said. I could completely relate to her. Hadn’t I gone through a similar phase last year? The agony of not being able to pursue the one thing that she loved the most was evident in every word she uttered. I am writing this post series for her and for all such blocked creatives out there. We are all born creative. We think we are the best artists in the world till the age of three or four. That is almost the age when we first start hearing about what is wrong in what we have created. Our creativity sometimes dies at that point in time when we first faced our worst critic. Many of us can only draw stick figures how much ever hard we try. Because it was at that stage where we had stopped drawing or trying to draw. That was when, years ago, our art teacher/ classmate showed our drawing to the whole class and mocked it. Most of us stay blocked after that for a lifetime. The ones who survive become masters of their craft. A writer or any creator, as a matter of fact, is always their own worst critic. It is after fighting their inner demons that they put up their work in public. And when someone ridicules it after ticking off their own checklist of what goes into the making of that particular genre of art, the doubts they had harbored long in their mind gets cemented. Many succumb to the insecurities within and stop creating art completely. The fear that gets awakened is often soul numbing. Some others got recognition only after their death. When Vincent Van Gogh died in 1890, he had sold only one painting. His works were ridiculed by art critics then. His paintings gained popularity only after 1910. Emily Dickinson hid most of her poems fearing public shaming as her writings were highly personal. It was after her death that many of her brilliant poems were published. Franz Kafka considered as the most influential writer of the twentieth century died without seeing any of his books published. No publisher was ready to publish them. If you browse through history, you will find many other brilliant creators who stopped creating altogether after encountering creative blocks. The question that needs to be answered is who gets to decide that you are a writer or an artist? Who gets to control your creative instincts? The answer should be and is always ‘you’! Only you know what you are capable of creating. Don’t let anyone judge you by a piece of art that you have created. Don’t let anyone brand you as a loser because your creativity did not appeal to them. Creativity is how your soul expresses itself. Never allow anyone or anything to darken the light that it shines upon your life. Never allow your inner child to cower in fear. So how do we unblock our creativity? Thank you, Amrita. Yes, I have seen that in my son. I too make sure to appreciate his efforts. Appreciation is very important to nurture creativity. for the publisher what matters is business not creativity. Creativity should not depend on what others think. If we have confidence in what we create, we become better creators as time progresses. I think all good publishers are on the look out for better creators. They know how to balance creativity and business. 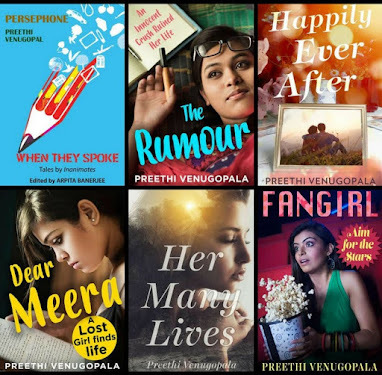 This is such an honest and heartfelt post, Preethi. I am sorry you and your friend had to go through the experiences you'll did but I feel so good to read that you got yourself out of it. Wishing the same for your friend as well. It is also heartening to see that you're writing this series for your friend. Kudos to you! Hoping this post will help others who are going through periods of self-doubt. Creativity shouldn't be allowed to die. 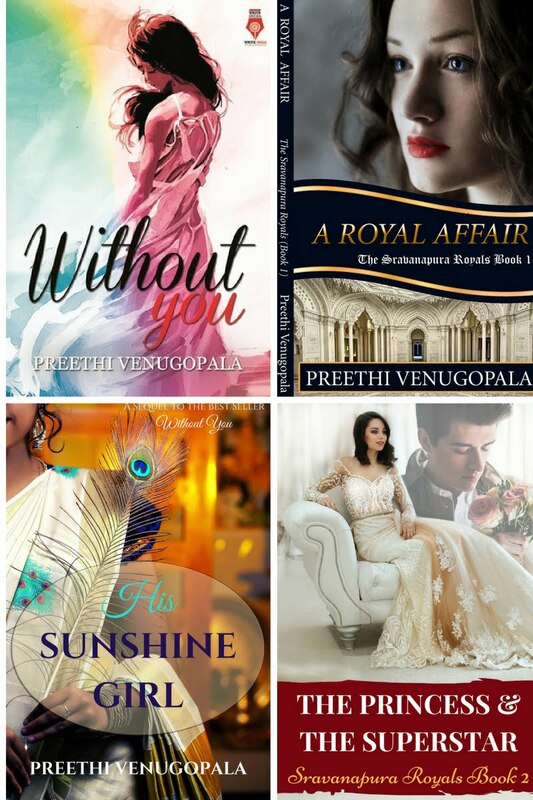 Why do I Write Love Stories?